As the nation’s only patient advocacy organization dedicated to preeclampsia and related hypertensive disorders of pregnancy, the Preeclampsia Foundation respectfully disagrees with statements included in the American College of Obstetricians and Gynecologists (ACOG) Committee Opinion Number 638: First-Trimester Risk Assessment for Early-Onset Preeclampsia (September 2015). In this opinion, ACOG states that taking a detailed medical history to evaluate for risk factors is currently the best and only recommended screening approach for preeclampsia. The opinion further states that current predictive tests for preeclampsia may harm more women than they benefit, and concludes that there is no role for first trimester screening until interventions are available that will reduce the incidence of preeclampsia. While the Foundation agrees that we must ensure any new tests that can predict or screen for preeclampsia demonstrate appropriate clinical evidence, sensitivity, and specificity, we are concerned that the Committee Opinion is so dismissive of such new tests and reliant upon screening techniques that are not consistent within OB-GYN practice. The goal of screening for preeclampsia is not just to prevent preeclampsia; it’s also to improve outcomes through the appropriate use of surveillance and patient care management – preventing the death and unnecessary morbidity of preeclamptic mothers and their babies. 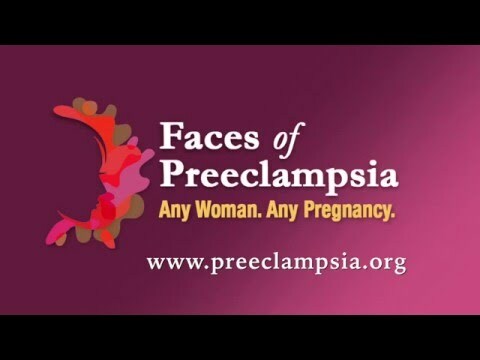 Although the Foundation works vigilantly to expand patient education about preeclampsia and related conditions, some women report no symptoms or experience symptoms only at an advanced stage of disease. New biomarker screening tests could be a valuable tool in improving patient care. The Preeclampsia Foundation encourages ACOG to support the development, validation, and use of screening and diagnostic tests to improve care and outcomes, while also underscoring the need for every practitioner to consider all clinical risk factors when counseling patients.